Beautiful cast awards. These are the elegant of the elegant in award presentation for trophy style awards. Each award design presents an unparalleled level of artistic design. 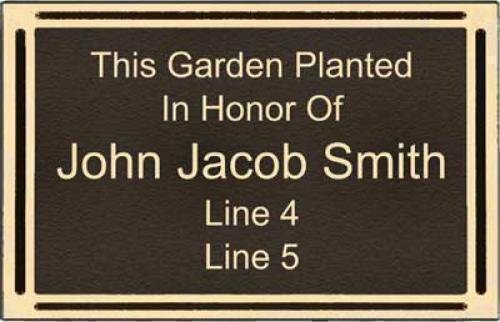 These Cast Aluminum Plaques have a raised double border and recessed area for an engraving plate. Flat back mounts have four holes for include stainless steel screws for mounting. These are black and silver in color. The black anodized aluminum engraving plate with engraving is included in the price. Available in 4 sizes. The 3" x 9" size can be used as a Bench Plate. These Cast Aluminum Plaques have a raised double border and recessed area for an engraving plate. Flat back mounts have four holes for include stainless steel screws for mounting. These plaques are brown and gold in color. The brown laserable plastic engraving plate with engraving is included in the price. Available in 4 sizes. The 3" x 9" size can be used as a Bench Plate. 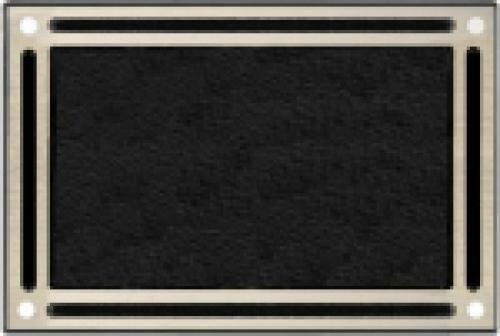 These Cast Aluminum Plaques have a raised double border and recessed area for an engraving plate. 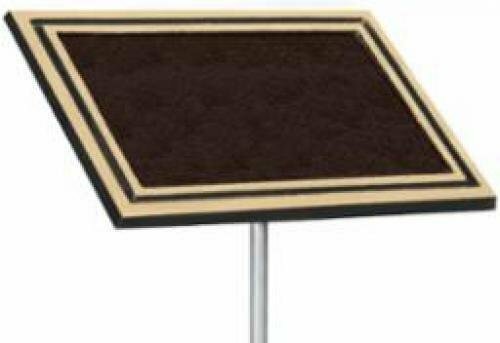 Stake Mount plaques have a cast rear mount to attach to the supplied 24" Aluminum Stake. These are black and silver in color. The black anodized aluminum plate with engraving is included in the price. Available in 3 sizes. These Cast Aluminum Plaques have a raised double border and recessed area for an engraving plate. 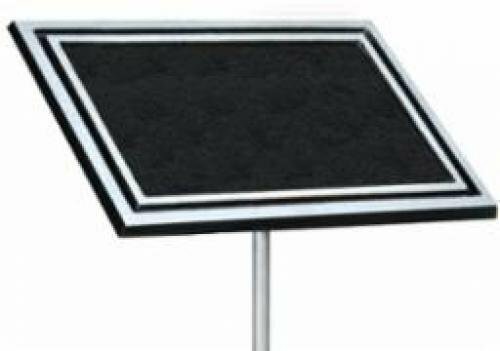 Stake Mount plaques have a cast rear mount to attach to the supplied 24" Aluminum Stake. These are Brown and Gold in color. The brown anodized aluminum plate with engraving is included in the price. Available in 3 sizes.